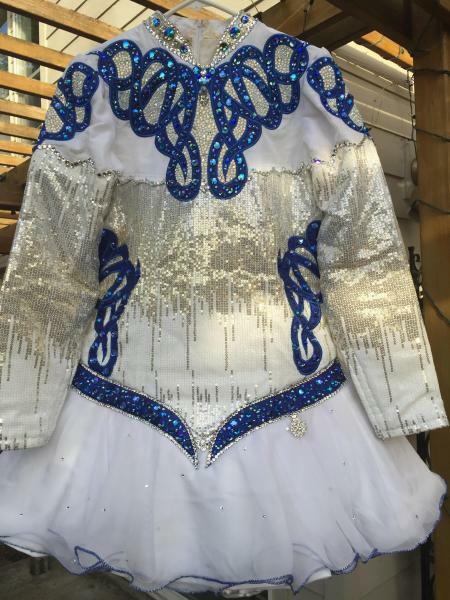 dance.net - Beautiful white and blue TC Creations dress (10246483) - Read article: Ballet, Jazz, Modern, Hip Hop, Tap, Irish, Disco, Twirling, Cheer: Photos, Chat, Games, Jobs, Events! 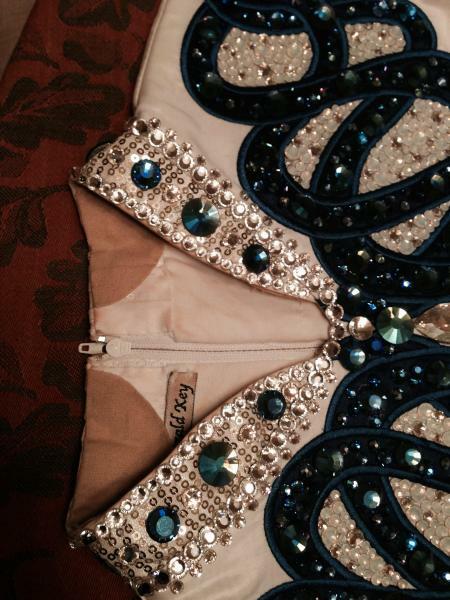 Beautiful white and royal blue TC Creations solo costume for sale! Bodice is a beautiful white with ombre sequin. Skirt is a white chiffon. Skirt has stunning movement and is extremely light weight. The underskirt is white. Embroidery is royal blue knot work filled with sapphire and cobalt blue Swarovski crystals. Collar, as well as neckline in between embroidery, is covered with crystal AB and moonlight Swarovski crystals. The shape of this dress is extremely flattering and has unbelievable stage presence. 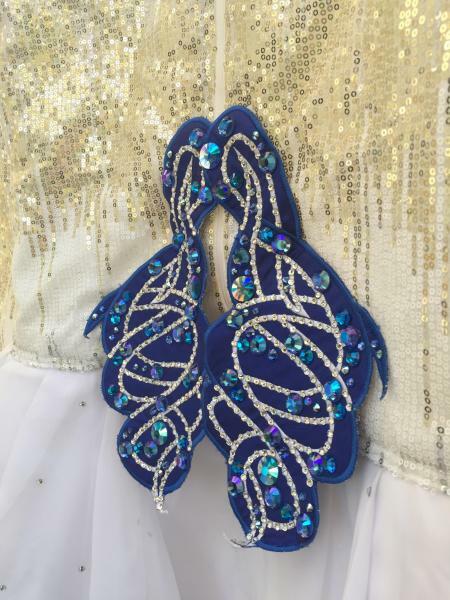 The blue and white combination is stunning and the amount of Swarovski crystals added to this dress tops it off! 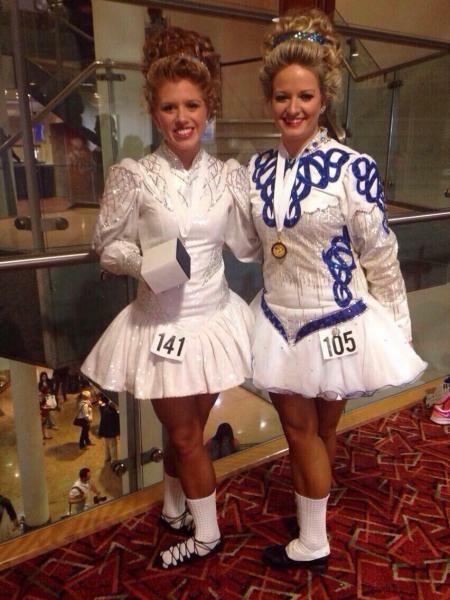 Worn a handful of times for Western Region Oireachtas, World Championships and several local competitions. Only 2 years of wear. This dress is in EXCELLENT condition. Always worn with armpit pads to keep dress from smelling. Some tan marks along boning underneath skirt and inside of neck. Comes with headpiece pictured. No dance pants included. Asking $1,300. Buyer pays shipping. Can ship ASAP if in need for the Nationals.